Paint Protection Film Keeps Your Car Protected. It's almost unescapable to face some type of road debris when driving on the road. This all ends up impacting the quality of your car’s paint. When this happens, how does one protect their car from all these elements? 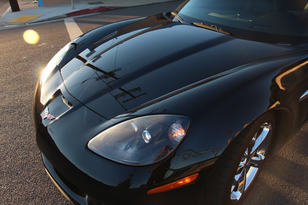 The most comprehensive form of automotive paint protection is Paint Protection Film (also known as Clear Bra). Paint Protection Film is a urethane covering that is wrapped around a car’s exterior to provide a line of defense against environmental hazards. It's important to install a high quality film as this will help prevent rock chips, guard against oxidation, and even self-heal from minor swirls and absorb minor impacts. If you are looking for a way to Paint Protection Film may be the end of your search. We pride ourselves in 100% transparency and highest standard of service when it comes to our Paint Protection Film installations. Just call us to schedule an appointment today. What is Paint Protection Film (Clear Bra)? A durable, high-grade, colorless urethane film applied to high-impact areas of your vehicle that takes the grunt of damaging road debris. PPF - Why Do you Need It? Helps maintain the look of your paint on your car. Will significantly reduce paint chips, tree sap, and bug damage. Can help boost the trade-in value of your car. WHAT ARE YOUR FILM OPTIONS? Paint Protection Film is the most comprehensive form of defense you can establish between your car and all that can damage your car’s appearance. You can choose exactly where you what the film protection to be. The most common area to be damaged include the hood, front bumper, rocker panels, or rear wheel arch. We recommend wrapping your entire vehicle for comprehensive protection. 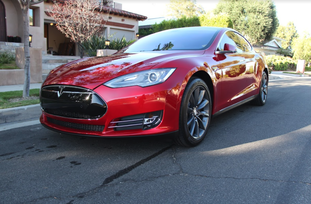 WHAT ARE THE BENEFITS OF HAVING PAINT PROTECTION FILM? 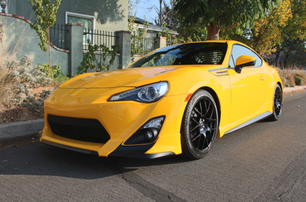 How long do I need to leave my vehicle for Paint Protection Film application?? In order for us to spend a sufficient amount of time preparing your vehicle’s paint and applying the film, you will need to leave your vehicle with us for at least one day for partial coverage, and multiple days for full coverage. Please fill out our appointment form and we will determine the length of time needed for your specific vehicle. You can apply Paint Protection Film to particularly vulnerable areas (like the front bumper, hood, fenders, rearview mirrors, rocker panels, and rear wheel arch), or you can cover the entire vehicle for maximum protection. Which brand or company do you recommend? Our preference is Suntek Ultra. It's comparable to XPEL ultimate, but tends to be clearer. Can Paint Protection Film be used with a Ceramic Coating? Absolutely! However the costing goes on top of the film otherwise the film wouldn't be able to properly adhere to the paint. What do I need to do after the installation to maintain the film? Can Film Protection self heal? Yes, to se extent. The film does have a self healing top cost, which can heal from minor swirls and marring from bad wash techniques. But if it is cut, torn, stuffed, or hit by an object it will not. How does Film Protection last & can it be removed? Both Suntek Ultra and XPEL ultimate are 10 year warrantied films. However we don't recommend leaving then on for that long as it will become increasingly difficult to remove.